In 2014, the competitors had trouble finding the starting line, never mind the top of Slieve Donard. It would turn out to be an infamous race due to the clag(white out conditions). This year with a specifically designed course to challenge the “creme de la creme” of British talent the main worry was going to be if you had remembered to bring any sun cream. As any local will tell you “we don’t sell sun cream in Northern Ireland until at least June”. There are always many ways to describe this course but having heard some colourful descriptions I think the agreed status was that it could be broken down into 3 parts. The first part would be a fast forest run to get the heart rate up before a horrendous long steep climb to the top of Slieve Donard and finally a decent that will test the fastest descender and as we will find out later be race deciding. The race briefing was given and the start line was crowded with talent ready for the whistle. Everyone took off through the forest and it was Chris Authur who would lead at the first checkpoint at Millstone Mountain with Tom Addison not too far back. The climb from Millstone to the top of Slieve Donard would see Tom Addison pass Chris but only hold the lead at the top by a mere 2 seconds. The final stage of this race is the descent and Tom Addison would show he certainly had the leg speed and skills to rocket to the finish to take the win in an astounding 58:03. Chris Authur was certainly no slow coach on the decent and would end up only 15 seconds behind to take second. The new kid on the block Joshua Jardine had a sensational race to make it a first and third for Helm Hill. Carl Bell should not be missed from producing the fastest decent of the day and the only person to break 16mins for the descent. It was this fast finishing that would see him move from 17th to 4th overall. 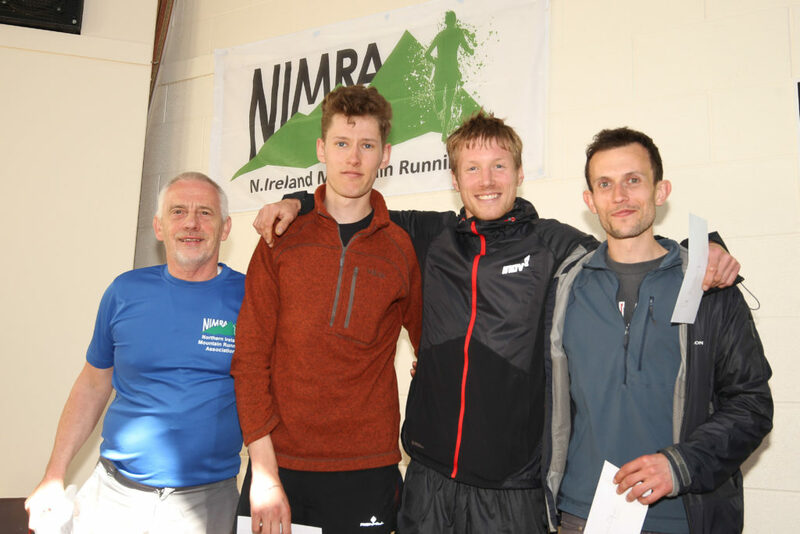 The first local was Johnny Steede who would finish in 30th place just showing the talent that was on display. 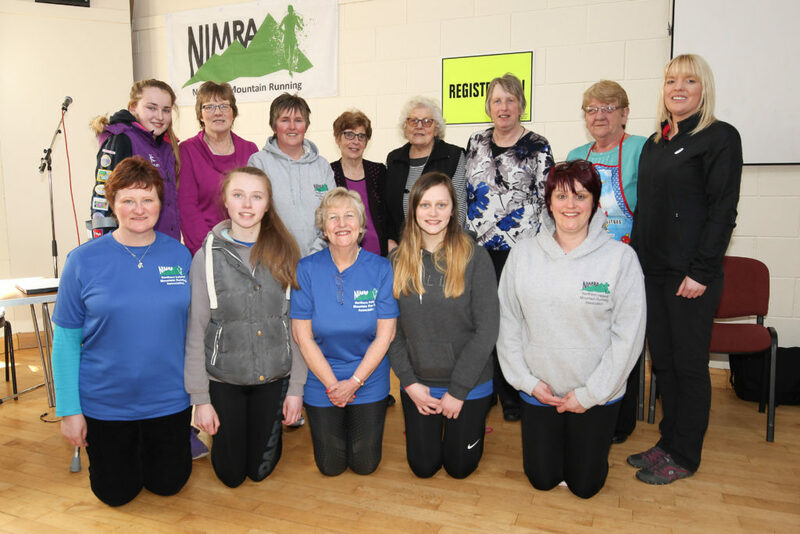 In the ladies race Lou Roberts showed what a great climber she is by being the first lady to the top of Slieve Donard with her closest rival Miranda Grant 90 secs behind her and Bronwen Jenkinson a further 30 seconds adrift. The descent from Slieve Donard would see that order really shaken up as Kelli Roberts would produce an outstanding downhill running display to claw back 3mins 30 sec deficit to claim the win. To explain how good the descent was you just need to know it was sub 20mins and she took 15 places from the top. Many a runner would love that turn of speed. Miranda Grant would overhaul Lou Roberts to take second place but a gutsy performance from Lou Roberts would see her hold on to third place from Bronwen Jenkinson and also claim the FV40 victory. 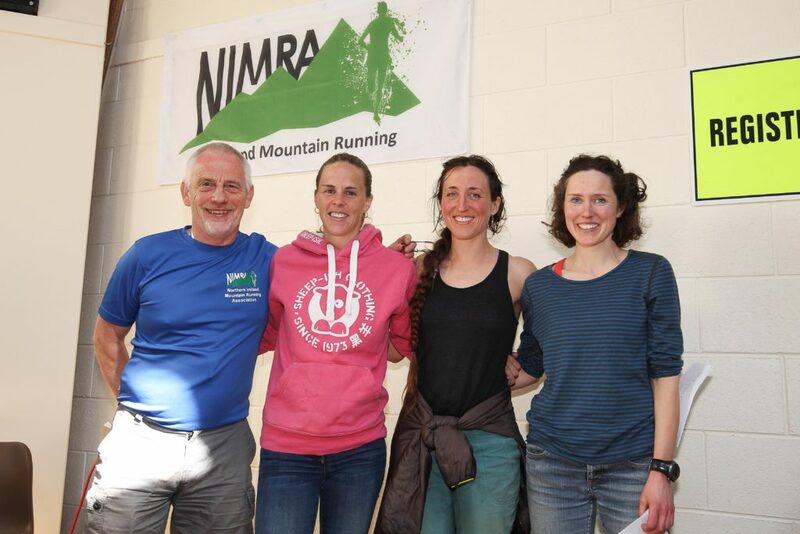 Esther Dickson (Newry AC) continued her excellent start to mountain running with a stunning run, taking 11th place. In the team competition the first Male Open team would see Keswick AC narrowly take the victory from Borrowdale. Borrowdale managed to take the MV40 Team and MV50 Team though. Eyri Harriers would claim the Female team prize just ahead of Ambleside but Ambleside would take the FV40 team prize from Wharfedale Harriers. With the race finally over and the results processed there are a wide range of people that need to be thanked and no doubt someone will be missed from this. Mark Pruzina has led the timing team to make sure the results are perfectly accurate and everyone gets their split times and finish position as quick as possible. The many marshals who helped mark the course, man the checkpoints, look after the runners at sign in. A big shout out to the ladies who fed and watered everyone at the end who could be classed as life savers from what I heard. Finally Peter Howie leads our first aid team and was certainly put to the test with a few cuts, bruises and even a bit of heat exhaustion (unheard of in Northern Ireland especially in April). Without all these people the race just would not happen. Ricky Cowan will no doubt not want to hear that his organisation of the race(or should I say pulling the strings) has been instrumental for everyone enjoying a most professional race. We look forward to seeing everyone at the next British Championship race held in the beautiful Mourne Mountains.